A book is a wonderful way to help introduce a child to a new adventure and to work out potential fears. Going to school for the first time or even back to school can bring some anxiety with the unknown that lies ahead. 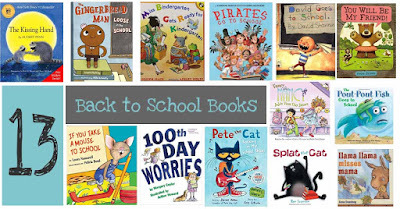 These are my favorite books for back to school. This post contains affiliate links. If you own only one back to school book ever, The Kissing Hand is the one you should get. It is so sweet and really helps children to feel brave facing that first day of school. You can give your child her own kissing hand to take to school with her. This is a popular book, so if you wanted some craft ideas to go along with it, a simple search on Pinterest would find you plenty of ideas. This is a fun book that introduces the reader to various school helpers. The Gingerbread Man gets left behind by his group of school children and he runs through the school trying to find them. In his travels, he talks to people like the janitor, school nurse, and principal. This is a fun way to help your child see all of these people in the school are there to help you. This is a good one if you have a child going to Kindergarten. It is a fun rhyming book all about what Kindergarten is like. The beloved character the Pout-Pout fish goes to school for the first time. He visits the wrong class over and over again, and finds school to be way too difficult! But once he finds the correct class, he is able to learn at his own level with his peers. This is a great one for preschoolers or other younger children. This is a lift the flap book and is all about little sister, Jo-Jo, getting ready for preschool. This is also sweet if you have older children with younger siblings starting school for the first time. It will help give them ideas for how to be a big help to their younger siblings. This is the one for your new preschooler. The familiar bouncing rhymes with the familiar favorite llama. This is a funny book. It is probably preferable for a student who has been in school before just because of how much David breaks the rules. Your child will shake his head at David’s antics. This is a fun story about what it would be like if pirates went to school. 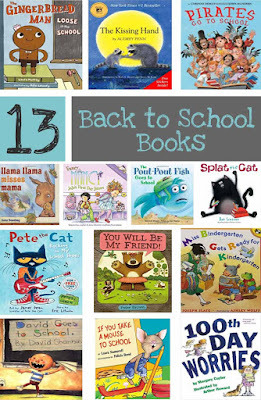 This is one of our favorite back to school books. Splat starts out nervous for school. Then he goes and teaches his peers and teacher a new outlook on life. He ends the book feeling many strong feelings about school, but they are quite the opposite of the anxiety he felt before the first day. This is a fun story with the same series of events you have come to love and expect from the Numeroff books. Like the gingerbread book introduced us to the school helpers, this one introduces us to the school rooms. 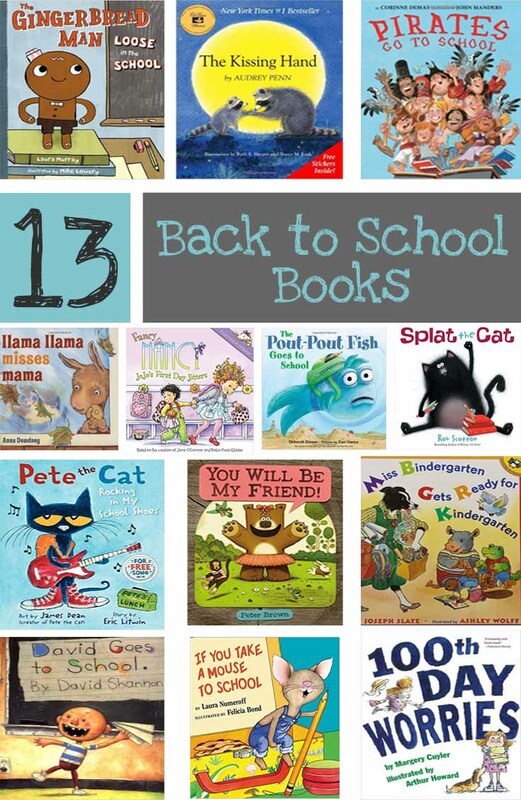 All with the fun of Pete the Cat and his songs. This is an amusing book about how to make friends (and how not to!). This one is better for later in the year when you are approaching the 100th day of school. Do you have a favorite book for back to school?